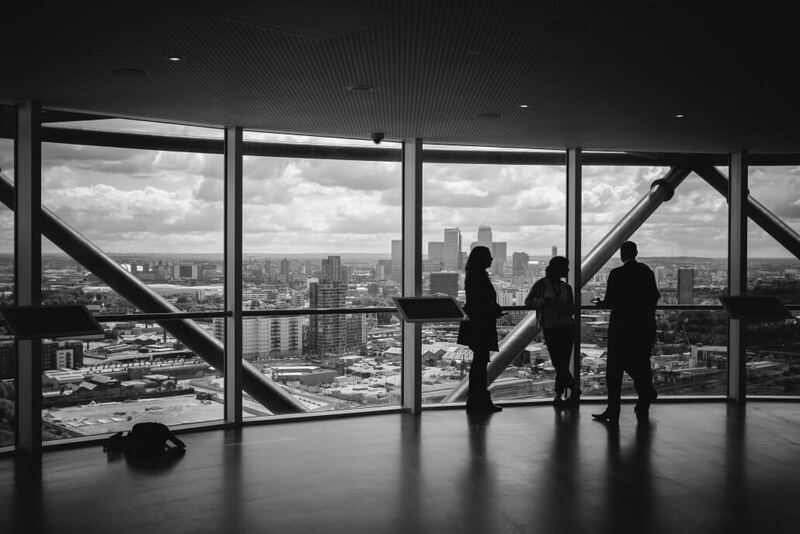 Have you ever considered the fact that endorsements from customers can actually do most of your selling for you? Plus, 6 out of 10 potential buyers will look to Google for a product review before making a purchase. Not to mention, 40% of buyers form an opinion on a product by reading just one to three reviews, and 68% of buyers state that positive reviews makes them trust and believe in a local business more. According to HubSpot, social proof is the concept that potential buyers will adapt their behavior according to what other people are doing. Social proof can ease the minds of unconvinced potential customers or give those on the fence the confidence to move forward in the conversion process. Most people like to know that the product or service has been used and found to be of good quality, ease of use, and at a good price, before committing to paying money out of their own pockets. There are a variety of different kinds of social proof that you can use. Expert Social Proof: The idea behind expert social proof is that consumers will trust a product more if an expert in the industry is vouching for it. Celebrity Social Proof: Celebrity social proof is used by numerous companies and for good reason. Consumers love to follow and copy what celebrities are doing. User Social Proof : By seeing that a product worked for someone else who had a similar problem as you, you are more likely to purchase that product as you feel more confident that it will solve your needs, too. Friends Social Proof : We trust our friends and family to have our best interests at heart, so when they recommend a product, it means they believe you will truly benefit from it. This motivates potential users to buy a product. Want to incorporate social proof on your website? Contact Spectoos today! So, now that you know what social proof is and why it is important, you might be wondering how you can get more testimonials. Don’t be shy: go ahead and ask your customers for feedback either on your website, after a successfully completed conversion, or by email. Here are a few methods you can use to receive feedback from your customers. Once you get customer testimonials, how can you use them to ignite an increase in conversions, leads, or sales? Including testimonial quotes in blog posts can give potential customers that extra push they need to move forward in the conversion process. This is because they will get a better idea of how your company can improve their situation and of the results they can experience. Social media is a great place to put testimonials as people look on social media to research products and services, these days. As a result, having testimonials there can be extremely beneficial. If you want your testimonials to be seen, publish them on Facebook, Twitter, LinkedIn, or any other social media platform your audience uses. Testimonials can be turned into a unique marketing campaign. Using the emotions portrayed in your customer feedback, you can create a story and develop an emotional connection with potential buyers. A great testimonial can turn into an effective marketing campaign using key emotional triggers. Using customer successes to create case studies carries far more weight than marketing copy on your website or ads. Potential customers want proof, they want examples, and they want to see someone else in their position experience amazing results. You could also go for something a little more visual than traditional case studies, such as video testimonials. This will allow your satisfied customers to praise your company and, in turn, convince users how amazing your product/service is. Additionally, with the rise in popularity of videos, potential customers might prefer video testimonials as they are more interactive and powerful. Here is a testimonial video example for an interior designer to give you an idea of how powerful these can be. Instead of designing an old-fashioned testimonials page, embed the Spectoos testimonial widget on your website. Not only does it enable you to present your testimonials in a clean, attractive design, but it’s connected to a dashboard that allows you to send emails to your customers asking them to submit testimonials. All they have to do is click the link in the email, write a few flattering sentences about your business, and then submit! You can also copy any of your testimonials, reviews, or recommendations from other sites (such as LinkedIn, Amazon, TripAdvisor, etc.) and import them manually to your widget’s dashboard, so you can consolidate and showcase them all together on your company website. On top of that, the testimonial widget can also be displayed on your company’s very own SEO page. In addition to being a visually attractive way to showcase your reviews, it can also drive traffic and increase conversions by ranking among the first results in SERPs. 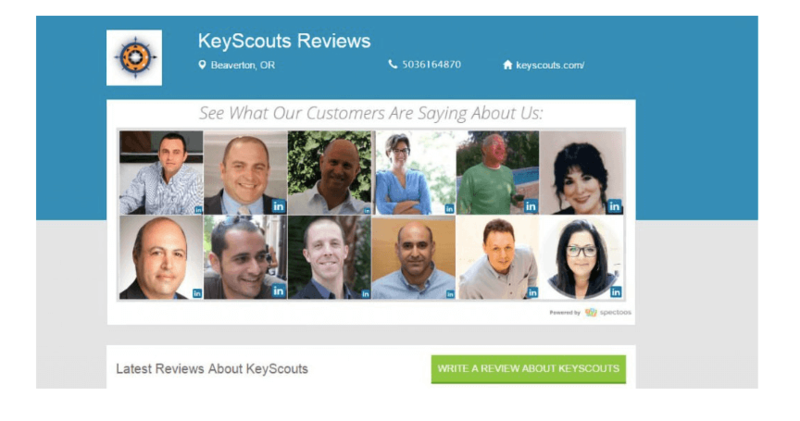 This has worked beautifully for KeyScouts, a digital inbound marketing agency. Take advantage of the Spectoos testimonial platform’s robust features. Sign up today. By gathering their testimonials and presenting them in the Spectoos Faceboard above the fold on their very own SEO page, their click-through-rate on the testimonials went up by 350%, and their conversion rate increased by nearly 20%, all within in a 30-day period. Using endorsements wisely, consistently, and creatively, will result in a noticeable boost in inquiries, leads, sales…and it will do wonders for your reputation. Find out more about incorporating online business reviews on your website will trigger more conversions by contacting Spectoos, today.